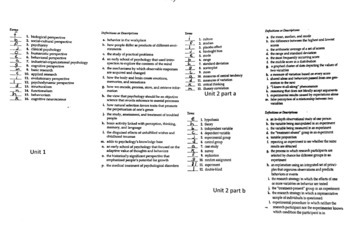 All 14 units of Myers AP Psychology Terms in matching format. Each unit is isolated for matching purposes and it also includes a key for every section. In all, it includes 307 terms to ready your students for the exam. Great for end of the year review. 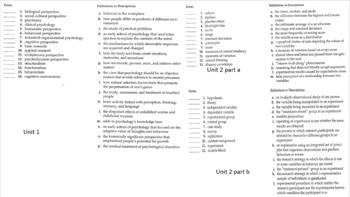 Also includes a blank answer sheet if you wish to reuse the tests.